This week I’m sharing several of my recent interviews from my YouTube channel. We are posting new content weekly, so please make sure you’re subscribed to our YouTube channel so you don’t miss any of the health tips we share! First, I interview expert Dr. Fiona McCulloch on her top tips for dealing with PCOS, based on her new book, 8 Steps to Reverse PCOS. About the expert: Dr. Fiona McCulloch is the founder and owner of White Lotus Integrative Medicine and has worked with thousands of people seeking better health over the past 16 years of her practice. She is a graduate of the Canadian College of Naturopathic Medicine and the University of Guelph (Biological Science/Molecular Biology and Genetics). She is also a medical advisor to Open Source Health which is a women’s health technology platform and committed to health education, sharing the most current information on health topics, nutrition and natural medicine. Do you struggle with skin issues? In this video, I interview skincare expert Caroline Frenette and showcase her podcast, Journey to Glow. How stress affects hormones, skin and quality of life. About the expert: Caroline Frenette is the owner of international coaching and consulting business and the host of The Caroline Frenette Show which is a business podcast designed to help entrepreneurs to create a thriving business that supports their ideal lifestyle. She founded Journey To Glow to provide education, empowerment and support to women worldwide who want to heal any kind of skin imbalance holistically and naturally. In this next discussion, I interview Dr. Jolene Brighten on different options for hormone balance. Many ladies who are on birth control are looking for better solutions, and Dr. Brighten is a wealth of ideas. Listen in as we discuss different tips from Dr. Brighten's new book "Beyond the Pill." 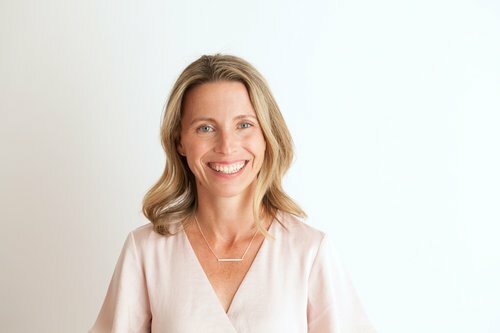 About the expert: Dr. Jolene Brighten is a Functional Medicine Naturopathic Doctor and the founder of Rubus Health—a root cause women’s medicine clinic where she specializes in the treatment of hormone disorders, including adrenal and thyroid conditions and autoimmune disease. She is the leading expert in Post-Birth Control Syndrome and the side effects and long term consequences associated with the use of the birth control pill. In her patient-centered clinic, Dr. Brighten thrives on navigating the space between conventional and alternative medicine, all while working with patients to help them achieve optimum balance, health, and happiness. We invite you to subscribe to our YouTube channel so you don’t miss any of the health tips we share! You’re also invited to join and share with our Facebook group, the Hormone Detox Tribe! This is a community of amazing women who love learning, want happy hormones, and want to avoid toxins to protect their health and to love up on the environment. Click here to join us. We can’t wait to meet you!